Product information "SPC4220.900-K1 SPC4220 Kit 1"
The SPC4220.900-K1 Kit consists of a SPC4220.310 control panel in English language and a SPCK420 keypad. 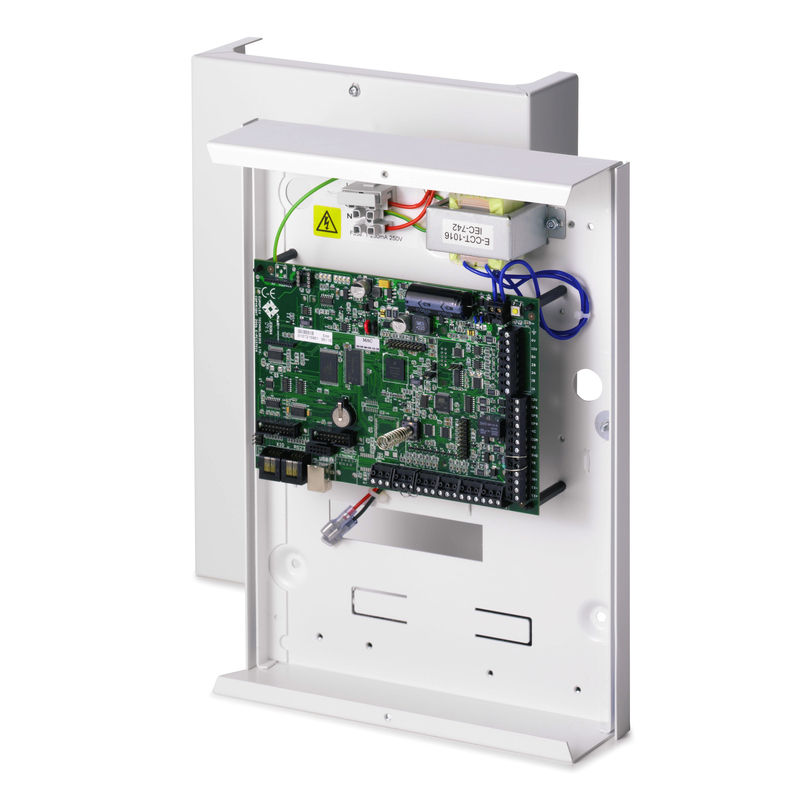 The SPC4220.310 control panel combines in an optimal way intrusion and access functionality in one system and can be expanded according to specific customers and project needs up to 32 zones (8 on-board), 30 outputs (6 on-board), 4 system keypads, 4 doors. The controller provides 1 X-BUS ports (1 stub), 4 areas, 32 users with different access levels, memory for 1’000 intrusion and 1'000 access events, integrated Web Server, 2 terminals for the pluggable PSTN and GSM communication options. The system is expandable with wireless modules and supports up to 32 Intrunet wireless detectors (mixed with wired zones) and 1 remote control per user. The panel comes in a tamper protected metal housing with space for optional 7 Ah battery and 1 additional expander.